Within the Parent Dashboard, you may give your families access to a variety of Financial tools, including the ability to make payments toward their balance, generate statements and invoices, and update their payment details. These options are all controlled by camp in order to fine-tune the settings based on your camp's needs. 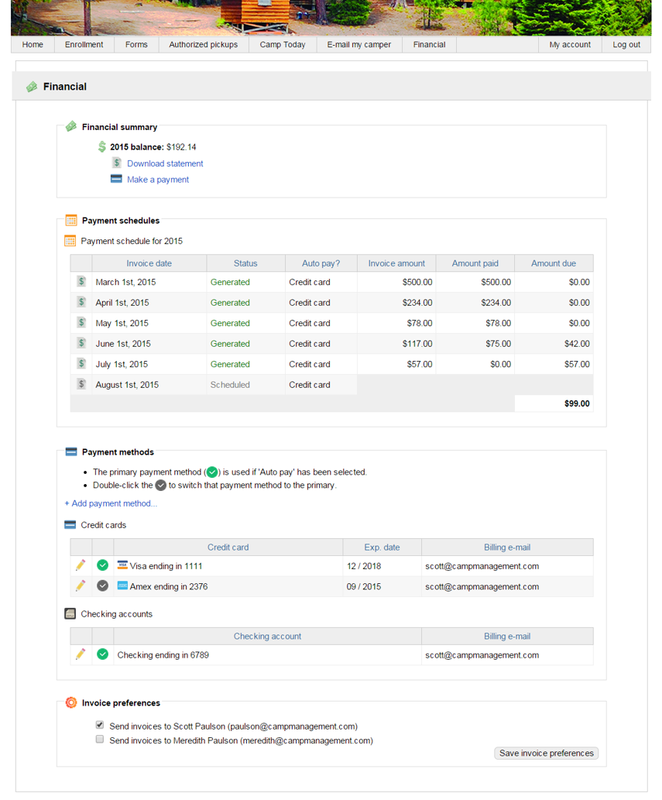 On the administrative side of CampSite, the functions that are available in the Financial section of the Parent Dashboard can be set by going to Admin > Campers > Parent Dashboard. If all options are set to "No", the Financial tab will not appear on the Parent Dashboard.